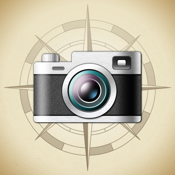 • enrich your trip experience with real-time, geo-location aware Flickr photos along the route. Sharing your destination experiences will never be the same again! Trip Journal 6.1 for iPhone is an award winning travel application with the best trip tracking, recording, documenting and sharing features currently available for the iPhone. Trip Journal allows you to document your travel experiences, personalize them with notes, photos, and videos and share them with your friends and family.